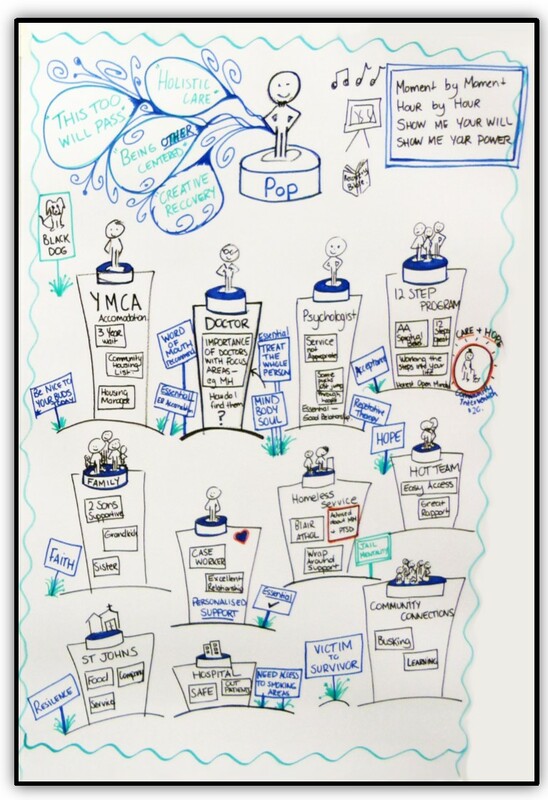 Partners in Recovery (PIR) invites stories from participants who are willing to share their journey with others, we call these Journey Maps. The journey maps are used to reduce stigma and create awareness of mental health issues and show that there is help out there. Many people have found sharing their story a powerful tool for recovery and it has helped other people seek support. A story can be collected in many ways. 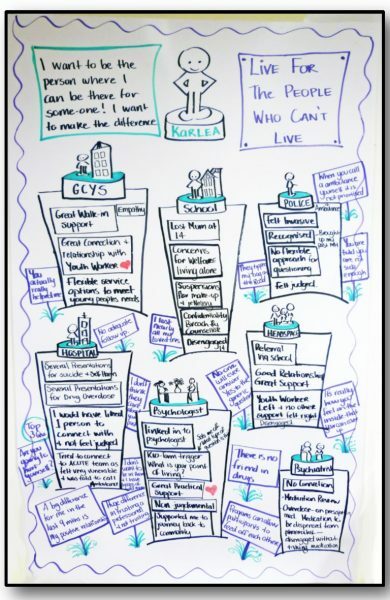 It can be written or drawn by participants themselves, or it can be shared through one of our Facilitators and our story harvester, who also has a lived experience. The story harvester will put together the information provided and will write it up and seek the participants approval of the story. Participants can also share their story by video or audio. A photo can go with the story, only if the participant feels comfortable. Participants always have the final say over the way the story is written and published. When a participant agrees to the final version, a signed consent form is completed. If a participant changes their mind about their story, they can advise a Facilitator and we will not publish the story and do our best to remove any publications that may have already occurred. 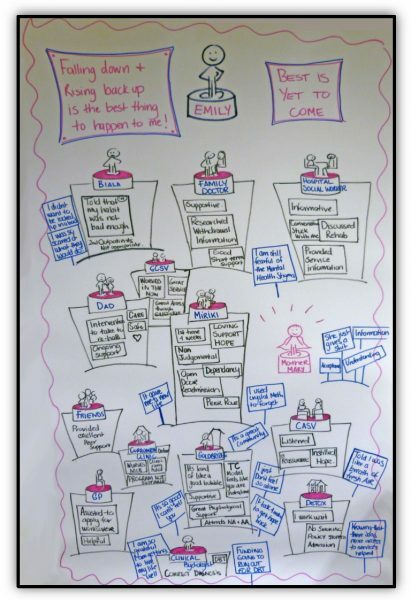 PIR Gold Coast have a very talented staff member who has worked within community for a number of years and enjoys working with participants through drawing their journey. 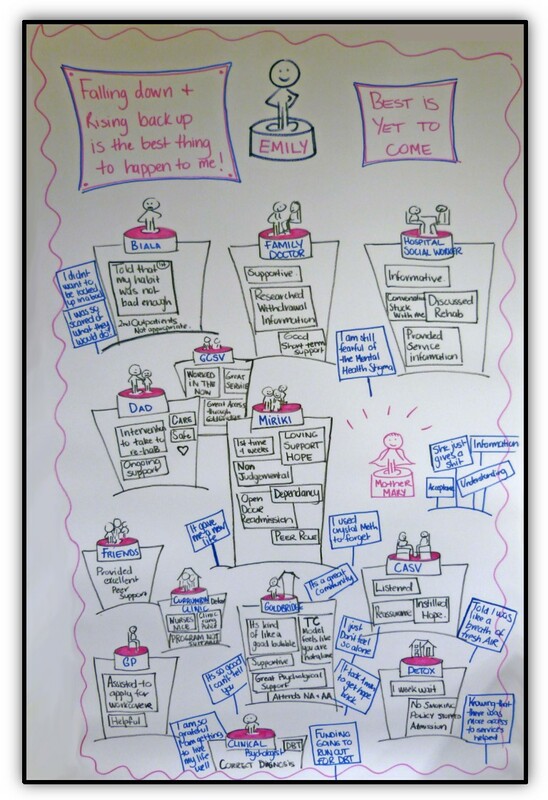 Below are some examples of the most recent journey maps participants have shared with us. Who to contact if interested? Please send us an enquiry and we will contact you to discuss the way you want to share your story.